Finally! Our annual summer week in Blowing Rock, a beautiful mountain village in the heart of North Carolina's High Country, arrived. 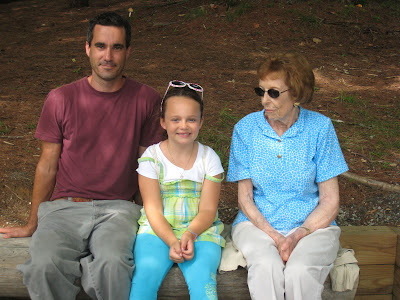 2010 marks the seventh summer we have spent a wonderful week in the Blue Ridge Mountains with Ken's family. 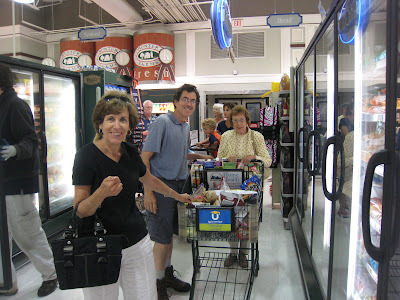 As always, high on our agenda after we arrived on Sunday was a trip to the local Harris Teeter grocery store. Ken's sister Marion is determined that we won't be visiting the grocery store every day this year as we usually do (of course, only time will tell). So this was a big shopping trip. Ryan, Heather and Emma arrived in Boone as we were leaving the store, not unhappy about missing the shopping experience. 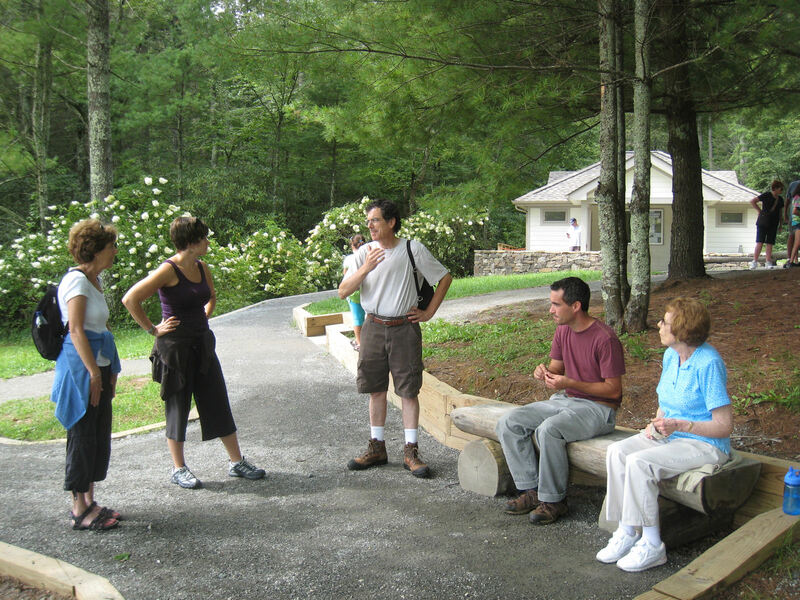 Monday morning and no better way to start the week than our traditional stroll around the Bass Lake loop trail. In the dozen or more trips we've made to the Blowing Rock area together, never have we missed this Prager family ritual (and we have the photos to prove it). After today's loop, during which we found a letterbox planted since our visit last October, Ryan, Emma and Grandma patiently posed for a photo op. Then it was time to discuss that persistent question: What shall we do next? Of course, the answer was easy... back to the townhouse for lunch. Later in the afternoon Ken and Dianne, Heather and Emma enjoyed a nice hike near the Blue Ridge Parkway on the way to find an outstanding letterbox. Back to home base for a delicious dinner and a ride on the Mexican Train. Ryan won, but we all had fun.